Welding aluminum requires a unique set of techniques. Prior to welding, make sure that the oxides are removed from the surface by using solvents or a stainless steel brush. Oxides have an extremely high melting temperature and it can affect the filler. It’s recommended to use argon-helium or argon gas to shield the weld. Always preheat the area but don’t overheat it! This can cause a burn-through. At the end of the weld, be sure to back weld for an inch or so in order to avoid potential cracking. You probably already know this but to reiterate the importance, here it is again: hydrogen is the enemy when it comes to welding. Materials such as high-strength steel are more susceptible to cracking, even long after the welding has been completed. To avoid any potential trouble, prior to welding be sure to remove any grease, dust, or paint. Then, preheat the metal before, during, and after welding for a couple of hours. Doing so will slow down the cooling time and makes it so that hydrogen can escape before the metal hardens. When it comes to stick welding, it’s critical that you maintain the angle of the rod. This is achieved by running a straight bead and keeping the speed steady. It’s also important to make sure the slag doesn’t trail behind as you run it. Once you get to the end of the weld, run the rod back in the other direction in order to prevent the crater from potentially cracking. 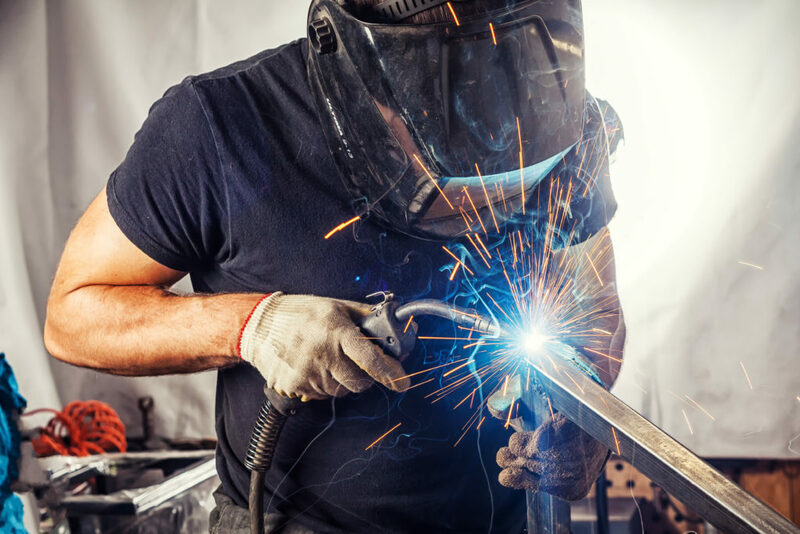 During the welding process, it’s important to make use of your space and the materials that make your job easier. Using specialized magnets is one of them. Magnets can be seen as another set of hands. They have the capability of holding welding tabs as well as brackets for the workpiece. Leave magnets in place until the welding process has been completed and everything is cooled. This way, the metal won’t ruin the alignment. Steel Specialties has been serving the El Paso community since 1987. As a structural steel supplier and provider of other integral materials for construction, we know the importance of welding. Our team consists of some of the most talented welders in the El Paso area. If you have further questions on the materials we supply or the work we can perform, please connect with us today!